Training Department Update: 2019 Training Calendar Update & Additional Instructor Training Date! As a follow up to our post on Matters earlier this week, please see the following information for more updates! As you may have noticed in the released 2019 Training Calendar, beginning in 2019, our Stage 2 for Initial Training will be shortened from 3 days to 2 days. The content will remain the same but the format will change. If you have any questions or need further clarification, please email training@mathnasium.com. UPDATE: Instructor Training Sessions will now be on Saturday, November 17 AND Sunday, November 18! Good news! Due to the overwhelming response, we have decided to add an additional training day on Sunday, November 18. The Sunday session will run 10:00am – 2:00pm ET. If you’re already registered for Saturday, you are able to switch to Sunday if it is more convenient. Please select the session in your transcript, and click on “Withdraw” to unregister. Then, you can register for the Sunday session as you normally do. 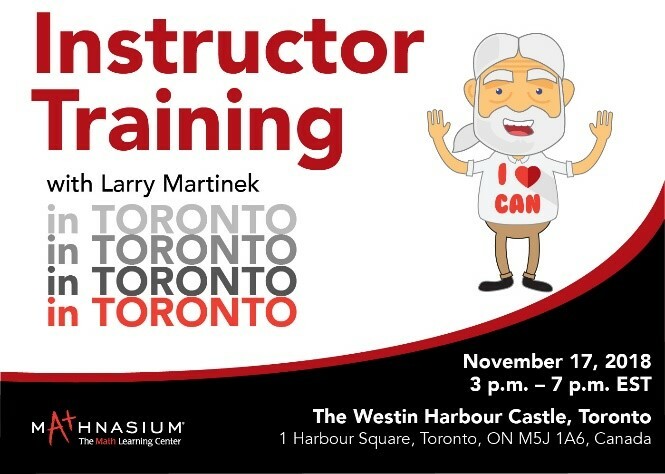 To register for the In-Person Instructor Training in Toronto, please follow this link to MU (you may be prompted to login) and click “Request”. To register for the In-Person Instructor Training in Newark, please follow this link to MU (you may be prompted to login), and click “Request”. You may also register by going to the MU Event Calendar on the MU homepage (bottom right-hand corner). Go to the desired training date, and click on either the Online Instructor Training or (In-Person) Instructor Training links. Once you are in the Event, click “Request” to register. The registration deadline will be Friday, November 16th. No user comments for " Training Department Update: 2019 Training Calendar Update & Additional Instructor Training Date! "